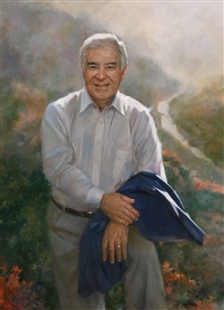 When Nick Rahall’s portrait was painted to mark his tenure as Chairman of the Natural Resources Committee, it followed a tradition of including elements related to the committee’s jurisdiction. 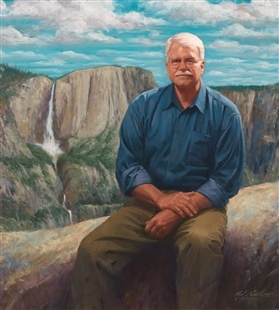 The West Virginian stands in shirtsleeves atop a mountain ridge in his home state, a misty river view behind him. 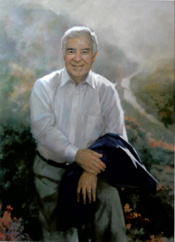 Rahall had an enduring interest in wild and scenic rivers in West Virginia, introducing legislation related to the New, Gauley, and Bluestone rivers.